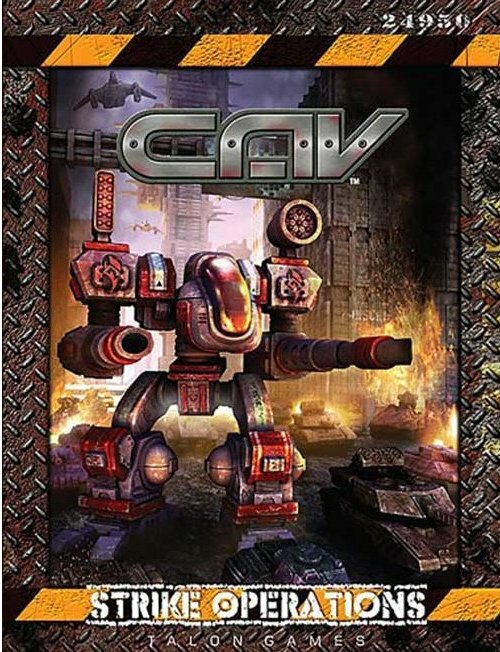 CAV:Strike Operations is the all-new version of the classic tabletop sci-fi mecha game for two or more players by Reaper Miniatures and developed by Talon Games that is easy to learn and fast to play! Set in an ever expanding universe nearly 300 years into our future, CAV:Strike Operations takes its name from the 10+ meter tall war machines that dominate the battlefield (Combat Assault Vehicle). The CAV:Strike Operations rulebook is a stand alone game system that includes all of the rules needed to play and requires no additional books. Featuring Reaper Miniatures innovative Damage Track system, CAV:Strike Operations allows for fast play and an easy to learn rule system that both novice and experienced players alike are sure to enjoy hours of endless play! Available now through Reaper Miniatures, CAV:Strike Operations features a wide variety of high-quality plastic miniatures for all of your 23rd century combat needs. This series (72000+), molded in gray plastic, is unpainted and may require a minimal amount of assembly. Most models also include an additional base or stand to aid in game play.